Need an experienced tile roofer? Call 480-226-4245 today for a free quote in the Mesa, Chandler, Gilbert, Tempe, Scottsdale, and Phoenix AZ areas. 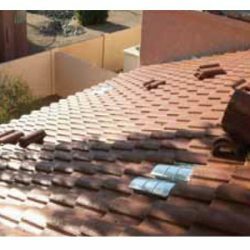 Although roofing tile material lasts a lifetime, the tile roof system itself does not. 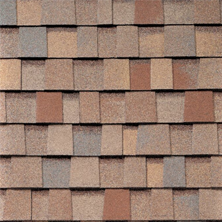 Your tile roof is only as good as the original installation of underlayment and other detail work. 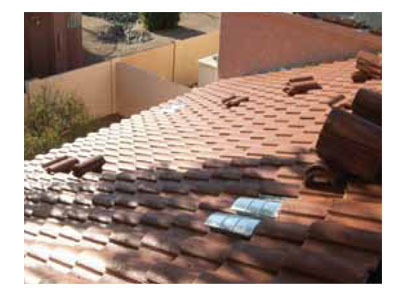 In Arizona, the 13-year mark is when a tile roof needs a thorough inspection. During this inspection, we will lift the tile to see the condition of the underlayment. 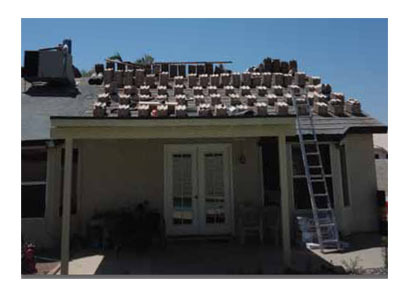 In the past ten years, the Tile Roofing Association has revised many of their codes in regards to channel and valley flashings, ventilation, and roof peak closures. 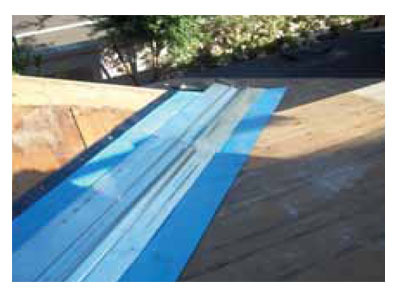 These facets of your roofing system will also be inspected. Be aware that “band-aids” and repair work can actually become costly mistakes. 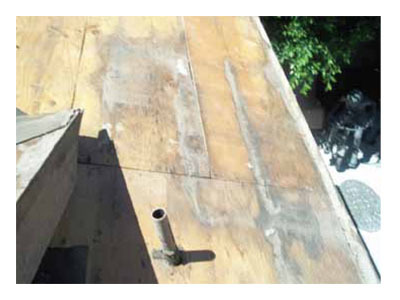 When a roof has reached the 13-year mark, just walking across it can create damage due to the brittleness of the original underlayment installed–what we call organic 30-pound. 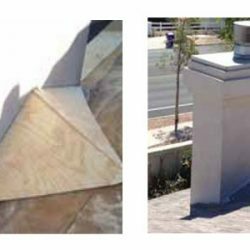 We do not sell band-aids and repair services to our customers, as we feel they should be informed about the true nature of their roofing system. 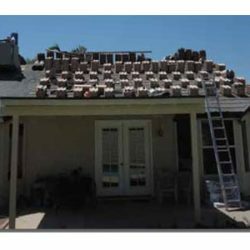 We are always upfront about roof tile prices and the cost of full roof replacement which typically includes the underlayment. This isn’t to say that your roof can’t be repaired. We simply hold a high standard of integrity. 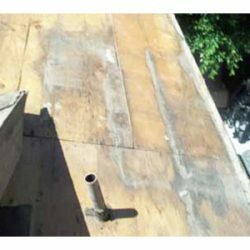 It’s fair to say that if one or two areas are leaking, it is an indication that the entire roofing system needs to be addressed in a proactive manner. What Are Signs of Tile Roof Failure? 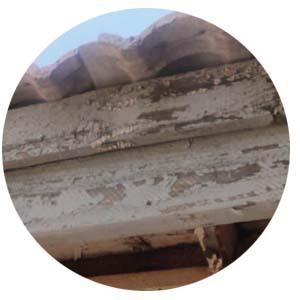 Rotting wood in the areas around the eaves, including the fascia board and plywood. 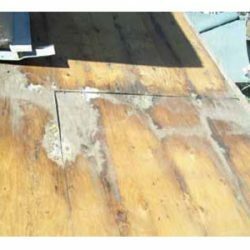 Rotting wood is the first sign that your roof is at the end of its service life. 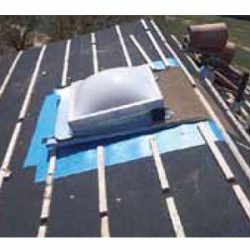 A note about leaks: Some customers have mentioned that they only have one leak, and question the need for whole roof replacement. You can take a look at the gallery below to see what is happening underneath a tile roof at the 16-year mark. 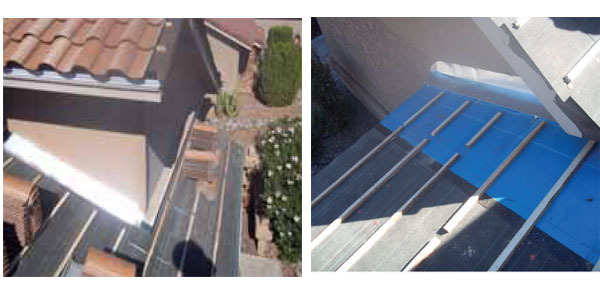 Another crucial component of a tile roofing system involves the batten sticks, which hold the tile in place. Water travels downward underneath the tile and dams against these sticks. Water will always find its way in through the nail-holes installed in the sticks, and because of dried-out and shrinking paper, water will also find its way into the plywood. 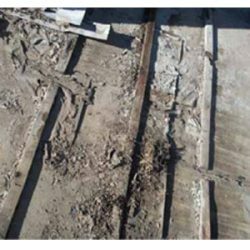 Throughout the Valley, we have found homes with 3″ or 4″ areas of circular rotting in the plywood. 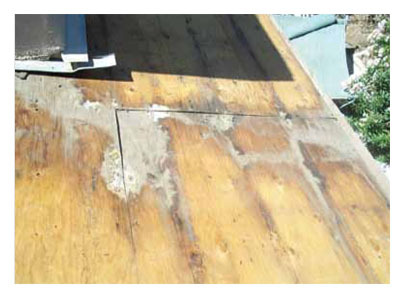 Even though you may just be seeing a single leak, areas of rot in plywood have the potential to create more leaks. 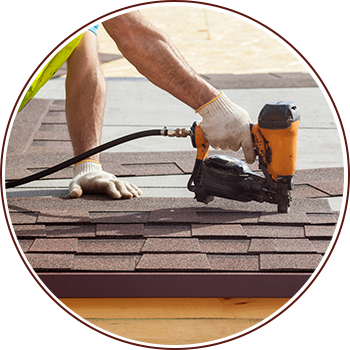 Roof replacement is always a better option than roof replacement plus plywood replacement, water damage repair, and dry rot repair. What Can You Expect During the Replacement Process? 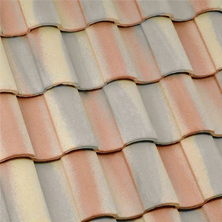 Our tile reroofing process is called the Raise & Reset–or R & R for short. 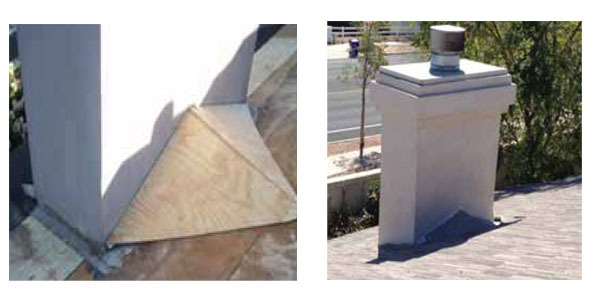 This requires lifting and stacking the tile, removing the existing underlayment down to the wood, and installing two layers of fiberglass-reinforced underlayment. 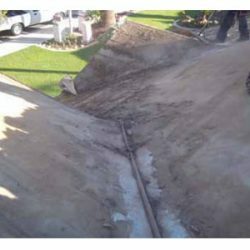 This 2-layer system is used by all quality contractors. The weight of these two layers in any given 10′ by 10′ area is upwards of 83 pounds. 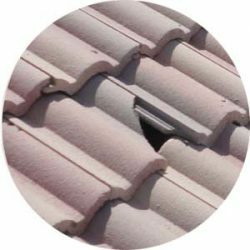 We also replace ALL cracked and broken tile that may come up during the reroofing process. Using our expertise, we can locate replacement tiles that are identical or closely matched to your existing tiles. These new tiles can be integrated into the new roofing system. If needed, we can work with you to determine an area of installation that will be the most aesthetically pleasing. If you would like us to provide an estimate on the tasks of removing and hauling away the existing tile and installing all new tile, just let us know. During the R & R Process, we will also double-up on critical areas such as walls, valleys, skylights and skylight tubes, and fireplaces. For fireplaces wider than 32″, the code specifies that a cricket must be installed on the back side in order to divert water. The wider the fireplace, the more water sits behind it. 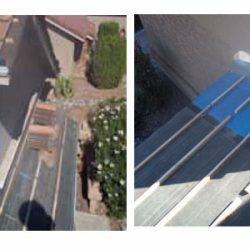 You can count on us to perform this upgrade, as well as any other upgrades that are needed for your roofing system. Soffits, fascia board, and molding become warped and rotted because of faulty water diversion. 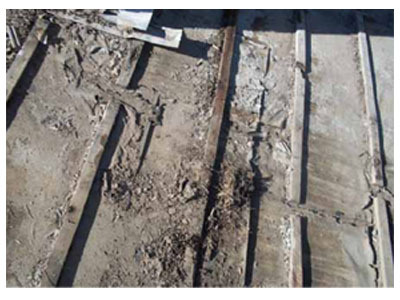 This rotting can also take place on the underside and fascia board of a patio roof. As you can see, as water flows underneath your tile roofing, , it travels and dams at the furring strips. There’s usually four to five nails per stick. Now that the paper is dried-up, the nail holes that are holding these sticks in place have enlongated and that allows moisture to seep in. In areas that are as bad as these, we’ll remove the paper. Chance are we’ll find what we call blot rot, a circular area under the nails that has rotted the decking in a three to four inch pattern. As you can see, as water flows underneath your tile roofing, , it travels and dams at the furring strips. There's usually four to five nails per stick. Now that the paper is dried-up, the nail holes that are holding these sticks in place have enlongated and that allows moisture to seep in. In areas that are as bad as these, we'll remove the paper. Chance are we'll find what we call blot rot, a circular area under the nails that has rotted the decking in a three to four inch pattern. The flashing you see on the corner is what we call a four inch channel. It allows water to be directed downward. The tile association upgrade now calls for a six inch channel, allowing a wider path. A picture of typical failure when the paper starts to dry out, and moisture finds its way to the decking. This is an upgraded 6″ metal channel that directs water along the wall. Notice that we use our rubber on top of the two layers of underlayment. This beefs up this area. This is an upgraded 6" metal channel that directs water along the wall. Notice that we use our rubber on top of the two layers of underlayment. This beefs up this area. f your fireplace is over 32″ wide, it has to have a saddle cricket. This directs water to each lower cornera nd does allow water to pond behind the fireplace, which can cause the metals to rot. We see improper fireplace flashings on a regular basis. If your fireplace is over 32" wide, it has to have a saddle cricket. This directs water to each lower cornera nd does allow water to pond behind the fireplace, which can cause the metals to rot. We see improper fireplace flashings on a regular basis. 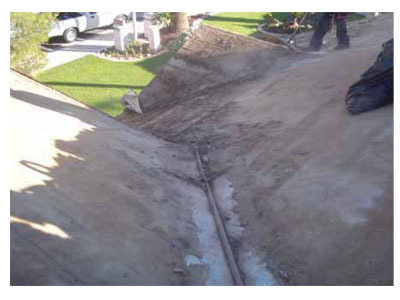 For valleys, we start by installing a 36″ wide rubber membrane. This is a heavy duty reinforcement. 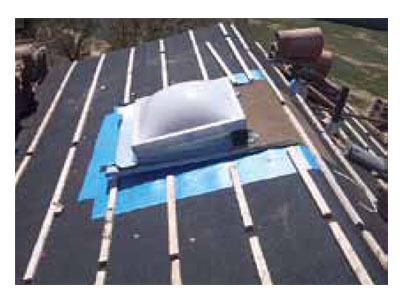 Other roofers just use their underlayment, but we start out with the best. There is also upgraded valley metal over the rubber. For valleys, we start by installing a 36" wide rubber membrane. This is a heavy duty reinforcement. 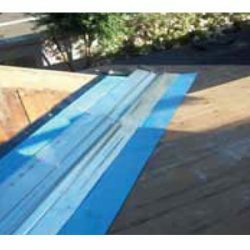 Other roofers just use their underlayment, but we start out with the best. There is also upgraded valley metal over the rubber. 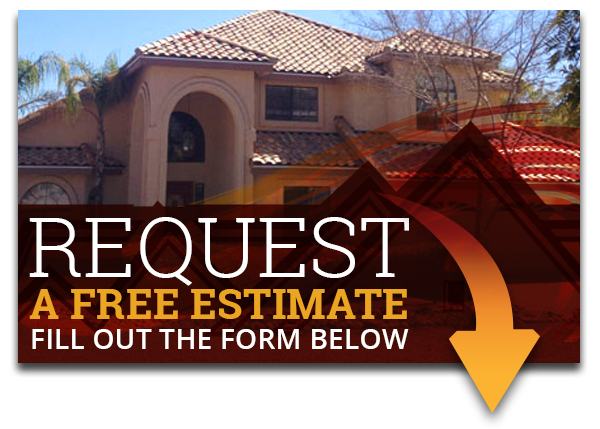 Express Roofing is headquartered in Mesa, Arizona and can help with all your tile roofing needs. Our office is located at 1640 S. Davis, Mesa, AZ 85201. You can visit our Mesa Yelp Listing and our Mesa Google Listing to view testimonials from our past clients. Tom of Chandler Arizona gave us a 5-star rating on our Yelp for their recent tile roof installation! 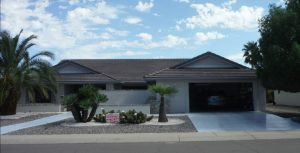 “Express Roofing did a great job on our roof replacement. Where other estimates were either higher or lower in cost, we went with Express because they go that extra mile that I look for in contractors. Video recording of our initial roof condition, as well as ongoing photos during and after the replacement, were part of our choice in going with this company. 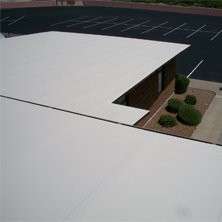 Express Roofing is only a short drive to Gilbert, Arizona. 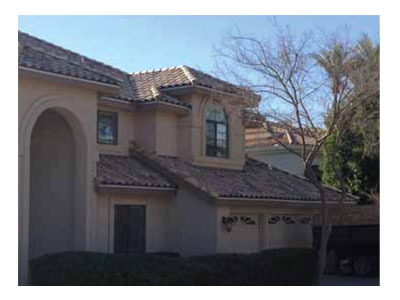 We have helped Gilbert residents with their tile roof installations for many years. 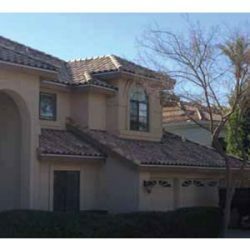 Contact our roofing team today to discuss your Gilbert tile roof!